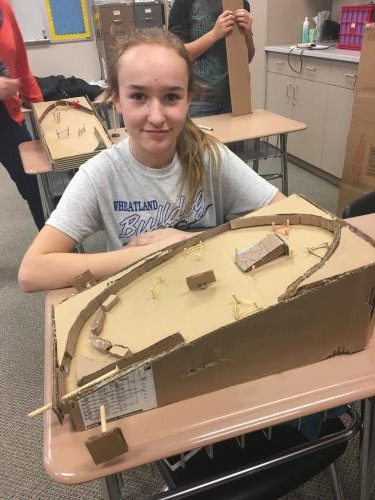 7th Grade STEM Pinball Wizards! 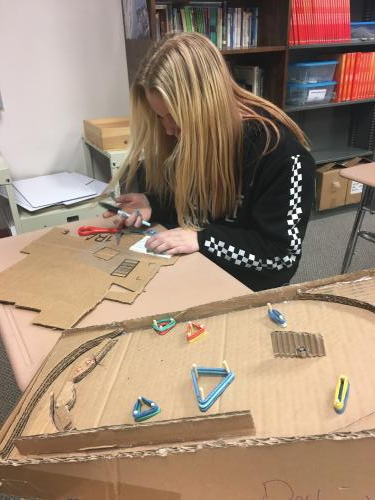 Students in Mrs. Gale’s Seventh Grade STEM Class have been busy creating their own pinball machine. They were tasked with the creation and engineering of these machines and boy are they creative! 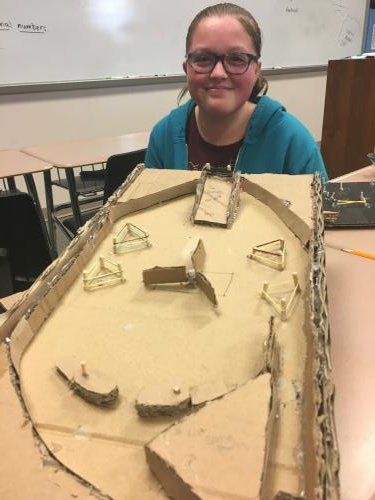 The cardboard was recycled from some desks that were purchased for the school and the rubber bands were collected from various supplies that they had.  This is a fun project for our students to express their creativity and design. They also had to troubleshoot how to get the various components to work in their machines. 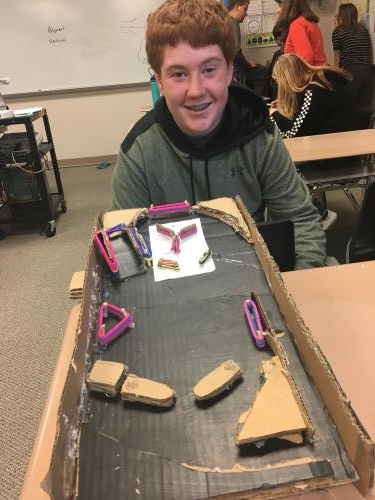 The paddles proved to require the most engineering and problem-solving. Great job students and Mrs. Gale.